We recently heard that some of you were experiencing issues wherein older versions of Platform Panic was displaying on the game page. We have fixed this and now the character upgrades are back! Apologies for this, some old files must have copied over during the accounts upgrade. I am still working towards fixing the game comments. The issue is much more complex than I first thought. The comments are still there though. It seems that it is a memory allocation issue. Thanks for your patience. Seeing as this is turning into a little bit of a site maintenance post, how about letting me know of any other issues you may be experiencing? I will list them and work to sorting them out. 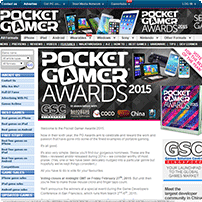 Were thrilled to say that we have once again won some categories at the Annual Pocket Gamer Awards! Platform Panic won ‘Best Action/Arcade Game’ and Nitrome won ‘Best Developer’. A massive thank you to everyone who voted and congratulations to the other winners! We are thrilled to be among such great games! 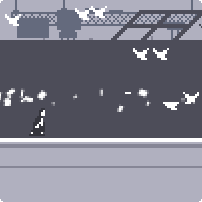 Today's Pixel Love game is Canabalt by Adam "Atomic" Saltsman! We have been fans of this one for a long time. The premise is simple enough. Keep running, don't fall! The graphics are great and the game uses his awesome Flixel engine. There are so many hazards to keep yourself aware of in this one. It has been a while and whilst rusty, we have managed to escape to 1555m! We have had some fantastic reviews of Magic Touch: Wizard for Hire so we thought we would do a little round up of some of them before the weekend. We hope that you have been enjoying our latest game, have a great weekend everyone! Alert all Apple product owning Nitromians! 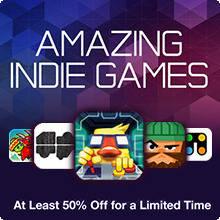 Apple have just started a really cool sale called Amazing Indie Games! I am thrilled to say that our game Gunbrick is featured in the sale and you can currently pick it up for a heavy discount! All the games in the sale are at least 50% off for a limited time! We're thrilled to see that one of our favourite celebrity Youtubers, Lonnie, has done one of his funny features on our new game Magic Touch: Wizard for Hire. If you didn't already see from the various marketing assets that popped up round the site yesterday our latest ‘FREE’ mobile game ‘Magic Touch: Wizard for Hire’ has now landed on your local app store! It is available on Apples App Store, the Google Play Store and Amazons App Store. If you have a mobile device and have read this far without rushing to download it then what are you waiting for? If your waiting for the browser version to hit then I’m afraid your out of luck this time as we built Magic Touch in a language that is not easy to port to the browser so that’s not going to happen. The good news is that we don’t intend to make a habit of this and our next game will be heading your way shortly. Also we may have a special secret something lined up for you browser only folk that should make up for it a bit... shhhh you didn't hear that. 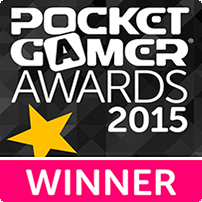 Firstly, thanks to everyone that has voted for our mobile games in this year's PGAwards! The voting will close on Friday, so if you haven't voted yet, you still have a chance! Click to go to PGAwards 2015! Just as a re-cap, here are the categories which we have been nominated for! Thanks again everyone, we really appreciate all the votes we get! 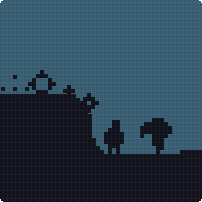 This week's Pixel Love game is Snailiad! We really enjoyed playing this one. 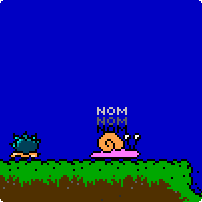 You play as a snail that is tasked with finding missing snails. We thought that the wall climbing mechanic was quite a fresh idea as was using the snails shell as a shield. This one has boss fights, power ups and more. The Music is also great! Apologies for the late Pixel Love choice everyone, I was at home with the flu! We hope you enjoy playing this one! More Pixel Love next week! We are currently experiencing some issues with the game comments. I have been looking into these for the past two days and think we might be able to get them sorted soon. We will hopefully get them back online next week, until then, have fun playing our games in peace and quiet! 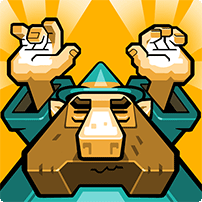 We're thrilled to announce that our next mobile game Magic Touch: Wizard for Hire will be hitting App stores next week. Today's Pixel Love game is Prophet created by Danil Zhuravlev. This one will have you utilizing wall jumps in order to access high shelf platforms. The art style has got a very clean low-definition look and feel. 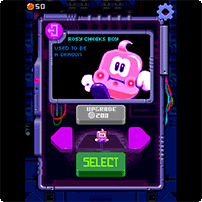 The tutorialized early levels are not too easy and do a great job introducing you to the gameplay elements fast. Have fun Nitromians, we'll bring you more pixel love next week! Although I haven't spoken about the new account features this year, I've been actively working on them! So expect to see them very soon! In fact, when I say soon, I'm working my hardest to get the account upgrades ready for you all by tomorrow! We just need to do the final backups and checks, just in case we need to roll back and fix some stuff. It's always better to be safe than sorry! There might be some teething issues here and there but with your help, we should be able to crush a good amount of bugs early on. You have always been a great help in detecting any past site issues that we didn't spot during development and your continued support will be much appreciated. Let's get accounts running as smoothly as possible! Now this really is something special! Check out this 3D Gunbrick model created by Thomas Urrutia. We really can't wait to check out the painted pieces! If you have any Nitrome related fan art, let us know and we will feature the most striking pieces we see in our blog! Thanks again for showing us Thomas! Today's Pixel Love game is Kram Keep originally created by Ryan Ledohowski during Ludum Dare 31 "Entire Game on One Screen. This is a wonderfully well realized puzzle-action-platformer that takes the player around a well crafted metroidvania environment. Gain your hero upgrades to make it through!